The Met Office has warned there is a 90% chance of heatwave conditions between 9am Monday 23 July and 9am on Friday 27 July. 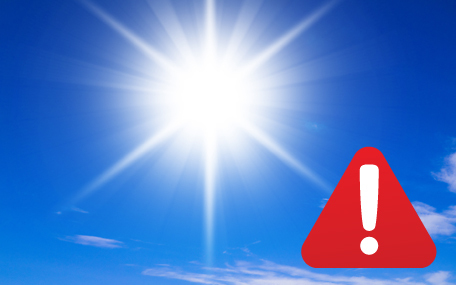 The hot weather is expected to continue this week and residents across the district are being urged to take care. Wear loose, cool clothing and a hat if you go outdoors. If someone feels unwell, find them somewhere cool to rest. Give them plenty of fluids to drink. Seek medical help if symptoms such as breathlessness, chest pain, confusion, weakness, dizziness or cramps get worse or don't go away. People can receive more heat wave advice from the NHS. Please check up on friends, relatives and neighbours who may be less able to look after themselves. For regular updates please follow our Facebook and Twitter pages.